sales-i is a Software-as-a-Service sales development solution. Integrating business, sales and customer intelligence, it has been designed to simplify the collection and analysis of business data, while cutting both time and cost. "User Friendly & Keeps Us All Connected"
Sales-i allows all of our employees to stay on track and up to date since we can share customer information, call notes, and more. It also allows us all to be accountable for our work. It is extremely easy to log call notes and schedule future calls so we never miss an opportunity to reach out to our customers and get the sale. We're also able to customize our own reports to keep track of what matters most to each individual salesperson or administrator. We can add multiple contacts which allows us to familiarize ourselves with several contacts at one company which guarantees we can speak clearly and confidently no matter which contact is available at the time we reach out. As a company with employees all across the united states, Sales-i is invaluable in keeping us all connected and informed so that anyone can reach out anytime and help our customers which allows our business to grow. It looks like the document section of the CRM is no longer available, which I also found useful. Sales-i really helps our workflow. It keeps us all on track and organized. It is fantastic help when dealing with customers. We are able to better communication with one another and with our customers. Sales-i allows us to speak with our customers as if we are old friends and helps us build and grow our business while serving the customers even better than before. "Fantastic insight into customers spend"
Report on sales by region, customer, department, brand, SKU, sales person and so on so on. this is really hard because i find the software so useful and it is so much better than anything we have had before. i suppose the CRM function wasn't as intuitive to use as whet we currently have so we don't bother with that. It only hold 2 years worth of data which sometimes it is useful to see more..
get a demo and ask as many question as you can. just go for 1 user to start with to get au fait. What Sales Analytics solution do you use? "Creates easy to use reports to enhance sales opportunities!" Personally I like the campaign function. This enables us to create a tailored campaign based upon live data on a day by day basis. I also like the design and ease of use, especially how it highlights area's of opportunity with our customers. The inbuilt CRM and facilities this offers are extremely useful with an opportunities tab to highlight wins for later dates. Finally.... The mapping tool is extremely useful for helping our reps plant their route for the day/future days ahead! I don't really have any areas that I dislike. If you are looking for a sales analysis system with an inbuilt CRM, you don't really need to look much further than this! It will genuinely help get into understanding the gaps, highlight trends and more importantly get your sales team working so much more efficiently. The automation side of reports (Campaigns) is another of the most useful features driving information direct to the reps. It will make them more inquisitive! In the main I'm looking at is sales gaps. The benefit gained from using sales-I is already starting to pay dividends. The speed at which reports are available, once created. Ability to create snapshot reports which can be sent to clients. The app is awesome - probably runs 2-3 times quicker that desktop version. The dashboards are very responsive and show at a glance all variables, between teams, product groups, targets etc. Data is not 'live' as it only gets pulled once a day from Sage. The CRM function is not the slickest but is getting better! The pipeline is very basic which is a bit of a let-down as this is a function we require so have to use a stand-alone product for this. The level of detail that sales-i shows to historical transactions is brilliant. The app (which I have only used on Android) is extremely fast and is essential for sales personnel on the road. The ability to drill in at a click the every product and service that a customer has previously purchased is very helpful. We can also run campaigns on particular product groups which is awesome for cross-selling. We are about to start using campaigns a lot more which take a while to set up but are very good at encouraging cross selling and help keep in touch with customers who may be falling off or needing some fresh enthusiasm! Sales are you every day to schedule all my appointments do my follow up and set up next visits. It’s a wonderful tool to keep track of my customers and all their needs. I have a pre-call set up that I go through sales-i and look at several different things before I go into my appointment. It keeps me full sales are you every day to schedule all my appointments do my follow up and set up next visits. It’s a wonderful tool to keep track of my customers and all their needs. I have a pre-call set up that I go through sales-i and look at several different things before I go into my appointment. I am fully prepared with the data I need to talk to the customer. I like the fact it updates overnight. I love how you can run a snapshot with several different data options and be able to present it to customers through a powerpoint presentation. It is hard to pick one thing I can go on and on. If I had to dig deep and find something... the only thing I can think of is when we have an account that is closed Sales-I is still pulling data from our program however we do have an open ticket with the support staff trying to get this reconciled. It very well could be on our end. The only other thing would be if it would pull data based off of a delivery route that we have setup in our program and there isn't anything setup like that currently. We are working on one of the types of lines of product that we sell. We are able to track down to the part number of sales and any swings in the sales. We needed help with tracking a individual salesperson and his customers and what product they were purchasing. We let that employee go and in turn continued to track the sales to his customer a total of 317 customers and watched as the sales rose. "great software if you need analytics..."
We like that analytics so you can have a data included conversation with your customer... Definitely allows for some help to keep from having a data free discussion with your customer or sales staff. Look hard to make sure your Data will mesh well, we I knew ours was going to be little difficult... but if you get things in properly, the quickness is great to hit your customers with gaps and data to help make good decisions. We are targeting customers and prospects with gaps that we need to fill and identify. "Sales-i is one of the best programs I use!" When I leave a call history note, there are no line breaks. Hard to read if the notes is more than a couple lines...everything looks like a run-on sentence. What customers are currently buying vs. what else we have to offer them. With the customized reports it makes it so much quicker to find this out - and I can even show the customer in a variety of ways by sending them copies of the reports, too. "A truly awesome CRM system"
The Sales-i system is an easy to use but very powerful piece of software. It works cross-platform so our sales managers in the field can access all and any information they need on tablet, phone or PC before visiting any clients premises. They can see in their palms what that clients buys, what they don't. How much they spend against targets YTD and MTD. The last time they ordered, how often they order, their most and least purchased products - the list goes on and on. It even helps them plan their routes courtesy of Google mapping ! That is invaluable for any new users. We had the misfortune to need to change a couple of our ASM's in the last 12 months, but because they had access to sales-I as did their predecessor, they had access to all the above (and more) plus all the personal client notes left by the departed incumbent as well. The new guys didn't just have a running start into the role, it was almost like they had always been there. They every piece of info they could possibly want. My own role involves working with all our users, helping with individual training plus I also work in the back of the site setting up bespoke searches and campaigns to help the guys (and senior management) with comparison sales figures and charts that can cover any period in the last 4 years. That way we can see exactly where the business is heading and take any appropriate action as needed. What do I dislike about sales-i ? Well, nothing at all is the truthful answer. I do have a mild concern that our competitors might also discover it and try to catch us up though ! It solved many issues for us. Previously an ASM would not know if any of their clients had bought or not. They could only find out by making a lengthy phone call to head office. Our Area Sales Managers (ASM's). now have access to a full set of up to date figures . From a senior management point of view they also have up to date figures on any coming due or outstanding debts too, so they can put in a gentle reminder at the same time as paying the client a friendly visit. The Autopilot function means they don't need to have Wi-Fi or even a telephone signal at time of visit. Once it's been set in their call planners and updated initially - it stores the info on Iphone and tablet. Our business turnover increased massively and progressively since introducing sales-I a couple of years ago. That is all down to streamlined efficiency. "As a regional sales manager"
The ability to quickly dig into sales numbers in so many different ways. By product, TM, price key ect. Snap shots are a huge asset when talking to customers. It saves TM's and myself hours trying to get ready for meetings with our customers. Nothing, the product works great for everything I try and do on a daily basis. I would not consider it a dislike but it would be great if we could see inventory and pricing on the same tool. Benefit of being able to go in and have real business conversations. Answers customers questions accurately about product sales all the way down to color. Great visibility! Catching sales declines quickly so we can address. Sales-i is a great company to work for! With this company, you're only limited by your level of willingness to work hard. Great employee benefits...Standard benefits (medical, dental...) are great and there are many other perks available to you as an employee. Management is very willing to listen to your suggestions and eager to help you learn and grow in your career. Sales-i allows us to be accountable for our work. It is easy to log call notes and schedule future calls so we never miss an opportunity to reach out to our clients and get the sales. We are able to better with our customers and also one another. The CRM function wasn't as intuitive to use as what we currently have so we don't bother with that much. Yes.I recommend Sales-i.very helpful and easy to use. Sales-i allows us to see when an account is dropping of and to see where sales are either increasing or decreasing. The Enquiries tab provides a number of ways of reporting... and I use most of them. They're very helpful in different ways. For some of this data, it could take almost an hour for our back-office system to generate... and then I'd still have to adjust/combine the data. With a few clicks, I can get that done in no time on Sales-i. MyCalls has proven to be a bit cumbersome. I don't particularly like how you get an appointment scheduled in your calendar (you have to enter a date for when you're creating the appointment, and then you have to enter a follow up date for it to actually show up). And there are no options to set up a reoccurring appointment. Be fluid. The program is vast and can be used in many different ways. We've changed our expectations and procedures a few times to make sure it works for everyone on our team, not just management. Sales-i has cut down report processing time and enabled the sales team to generate their own reports (no longer relying on the head office team to produce these). "Wish I had it years ago!" Using the app to add call notes as soon as I leave a call. By using the microphone feature on my phone I can literally dictate notes to sales-i and save them then there and then, thus saving me the need to have to sit and fill-in call reports at the end of the day or week. The app (Android) sometimes doesn't play ball when you need it to. Can be a little twitchy. Another annoying thing is when setting up a prospect account it wouldnt let me save a contact name's details before adding a call report. I had to save the report first, then add a contact, and then go back into the report to allocate the relevant contact from that specific meeting. I guarantee it will make you realise how much time you have wasted previously doing things which sales-i can do in seconds! "Staff is friendly and the software is easy to use, but lacks analytical depth." The best attribute of Sales-i is its ease of use. The UI is designed around a drill down process, which makes it very intuitive for sales people to get at the information they need. It's easy, for example, to see which customers are up or down compared to last year, and to drill into that customer to find out exactly what products are driving that variance. It's worth mentioning, that the mobile app is pretty good as well. The campaigns can be useful, but are difficult to set up. Unfortunately, its greatest asset is also its greatest weakness. Because of its drill down UI, it is not possible to create anything more than the simplest reports. This means it is not a great tool for doing complex analysis of the sales history. One easy example: Want to see all sales by category, by every state? It can't be done in sales-i. I can see the sales categories in ALL states, or I can see all categories in ONE state, but I cannot do both in one report. The filtering process is sub-par. It treats some filters like an OR statement, so if you are trying to add multiple filters, you start getting weird results. For example, if you set a filter for Customer A, there's no problem. But if you set a filter for Customer A and Product Group X, you could get all customers who buy Product Group X, and/or all Product Groups bought by Customer A. You cannot change the dashboard, when you initially log in. You are restricted to the generic layout and content determined by sales-i. If ease of use is the most important factor, then this is the product for you. But beware, the BI will not let you do complex reporting, so if deep, detailed, analysis is your primary objective, I would avoid it. We purchased sales-i, so we could put sales information into the hands of our sales force. IT has succeeded in doing that, and it does help them easily identify problem accounts, whether it's top line sales, margin, or mix that is causing the issue. "Sales-i is a great tool"
I love the analytics. You can slice and dice the data so many different ways to find trends that you potentially would have missed without this access. Sometimes I struggle with the data from our end not being in the right bucket of information on the Sales-i end. This ultimately is our own struggle and not that of Sales-i, but the struggle is real. We have been able to identify the challenges and specifics that surround margin erosion and can then develop ways to combat the slide. By identifying specific vendors or products or business segments I can then be more assured I am on the right track when I see trends appearing. Data is key and seeing it in an easy to read format is paramount in a busy world. Tells you exactly which customers need attention. The security changes they made. I cannot masquerade as another user the way I could when we first started using the program. Make sure it is a good fit for you company. Keeping better notes on meetings with customers. Keeping a better schedule of calling on customers. Finding areas where we can improve margins and overall sales. Time saving. Reports that used to take an hour or more to generate are now done with a few mouse clicks. Digging down deeper into sales data is a breeze as well. We can come up with actionable sales plans very quickly and allocate those plans to the assigned sales rep all in one step. I dislike that we didn't implement Sales-I sooner. If I had this tool at my disposal while 'climbing the ladder' I'm sure I would be wiser for it today. The ease of use and time savings alone are worth the investment. We benefit greatly from quickly identifying spending patterns of our customers, as well as finding gains and losses to act upon before it's too late. Sales-I shows us cross-selling successes and short falls with the ability to place action or follow-up calls directly into the sales reps calendar. "I'm VP of Sales and use Sales-I for a wide variety of reporting purposes." I like the intuitive way that Sales-I allows me to drill into my data cube. I find managing users a bit challenging and far less intuitive than the reporting capabilities. It's an incredibly important tool for viewing our sales data. The SnapShot report and business reviews with our clients is a cornerstone of our customer retention efforts. "Great for customer retention campaigns!" Sales-i allows you to set up alerts for customer accounts, so you be notified of any changes in customer spend. This is great for customer retention purposes as you can track exactly where you may be losing your business! We can run a rolling report to track customer spend, so information is right up to date. We would previously have run a report on a monthly basis, which is only a snapshot, so we could be taking information from old data. Sales-i is very helpful tool. It allows me to create reports that show where my sales are up, and down. It allows me to focus on customers that are down in specific categories and pinpoints the exact products. On some drill downs it takes a while to find the info you need. It allows me to see the customers that are down and where they are down. It is easy to see where they are down and it creates a professional report you can print out or email to you customer for review. "In the palm of my hand"
"User friendly and very responsive to inquires"
Ease of use and easy to learn. Good tool for tracking Prospects and customer opportunities. Have good support and training and are very responsive. Always get a fast response to any questions or issues. Would like better reports and easier to use campaign set up. Wanted a good CRM app that was user friendly and easy to track. We have been able to track progress with prospects and customer opportunities and keep our reps focused on closing the deals. The sales reports are wui k and easy to evaluate customer growth and response to sales efforts. It makes interacting with the customers over there sales results easier for the salesman. I don't have to get involved as their manager on every sales report. It is becoming my main source of sales numbers information. The system is very simple to use and self explanatory once you know the basics. Reports on virtually any sales activity/trend can be produced in seconds. Paying per user for the site makes it quite expensive. If possible develop with as many of the sales team as possible. Customer spend data can be produced much faster and more comprehensively than before using sales-i. Creating budgets and targets is more accurate with the data we now have access to. "Super easy system with brilliant back up. Has transformed the way I do business. Ideal for SMEs"
This is a very easy to use system, accessible via Android, IOS and Windows platforms. Simple layout and easy to access information. CRM has proved invaluable as a reporting tool, management tool and sales tool. The training was excellent with ongoing free webinars. In fact there is so much to utilise by way of campaigns, drill downs, reporting etc that even if only 10% utilised there is a significant benefit to business management. As with all systems it takes time to familiarise with the system. The invoices information is accurate and easy to interrogate once you know how. The CRM relies upon the input from sales and office staff which is more a reflection on my business than Sales-I but either way the more you put in the more you get out of it. Until recently required online access to function, i.e. if a rep was in a remote area then sales-I was ineffective. This has been addressedI believe. Balance your business needs with the capabilities of the systems out there. This one is a great work horse and will improve any business. Information sharing and logging has vastly improved. Ability to make strategic decisions easily and quickly. Ability to get snapshots of the accounts and generate easy reports for the business. Greater management of sales activity. "Great tool with valuable information that requires consistent review"
Sales-i is great overall. You are able to look up general reports to see which customers are down in sales overall month over month. You are also about the drill down as much as you want and get very detailed information. It does require time and dedication, like any other tool. It has been very difficult to get our sales team on board to consistently use the tool. Quickly revealing trends that need attention. The tool make is easier for management to review sales. I like best how you can pull up sales numbers by category. The learning curve to easy access different levels of sales/products and targets. Business problems I am solving are how much or how little an account is and by what product they are down in. The ability to see customer sales, down to product categories. You can also pull reports of which customers are not buying/buying certain categories of products. Customer files/info is nice. You cannot record an email blast to a group of customers. Sales-I gives you the ability to narrow groups of customers to market better to them, but then doesn't let you notate what was done to market very easily. I love the reporting components. It takes me less than 1 minute to provide my customers with a great report that allows them to have all the information in one folder. It is just another benefit of doing business with my company. Many of my customers do not have this capability and they highly value it. Great tool for the traveling salesperson for sure! LOVE THE IPHONE APP. The staff training provided by Paul really was second to none. With 5 sales managers to present to for 5 hours, I have no doubt that he needed his wits about him, but he was simply excellent - at giving an informative and detailed explanation of a product that will without doubt benefit us endlessly. His witty stories and laid back persona helped the experience to be more memorable. His patience was also noted to be above average! The system looks like it will be a great help to all who attended, with the ios version of the package for our ipads appearing to be able to change how we work massively. Nothing yet. There really does seem to be no issues identified. Streamlining our processes for identifying sales data and making it easier and fasted to analyse. It's so easy to learn and use day to day, and highly customizable. You can put together just about any report you could think up to present information on a customer's buying trends. 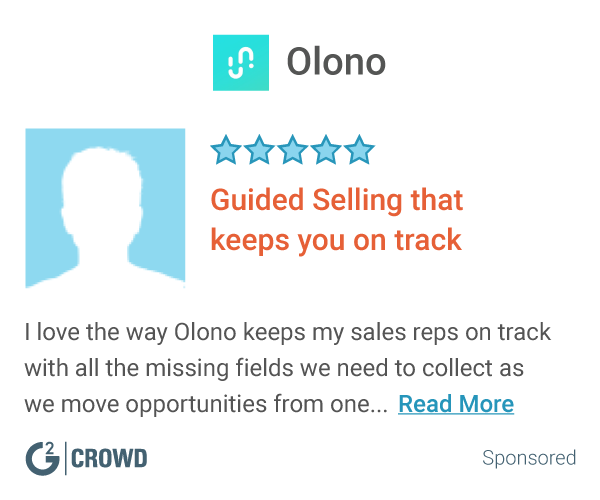 You can also find holes in your sales by pinpointing product categories you need to target OR to set up targeted marketing strategies by seeing which customers are buying which products. You can put together just about any report you could think up to present information on a customer's buying trends. You can also find holes in your sales by pinpointing product categories you need to target OR to set up targeted marketing strategies by seeing which customers are buying which products. Being able to quickly access reports that are updated daily on sales activities is great. I have been able to answer customer questions quickly by running reports in seconds and giving them real time data. "perfect for managing incoming calls and requests and also storing customer history"
you are required when searching for a client account to tick the "all" box, you can not simply type the account name and search, this can be frustrating when you are trying to access an account quickly and then have to go back and tick the "all" box before accessing account details and history. Thank you for leaving us a review! We really appreciate you taking the time. You have been set up as a restricted user on the system and you can only see the accounts which belong to you as a default. As such 'All' checkbox widens your search to all accounts. This is there so you don't have to wade through hundreds of other accounts which aren't yours to find the ones that are marked as yours in sales-i. Please do get in touch with our support team who'll be happy to help you out. Your Power User will be able to change any restrictions so you can see all accounts by default which will remove 'All' checkbox as an option when searching. "Fairly easy to use and a good source of data for account managers." It is rather frustrating that the system logs you out after a period of inactivity. I would be good if I could stay logged in all day. It is also missing a feature whereby it can`t alert you if a customer drops off. You have to actively monitor each account. It would be excellent if these alerts could be set to pop up automatically, even if it was just in the form of a report. Give it a try. It may not work for everyone but it will work as far as you will use it. The ability to see when an account is dropping of and to see where sales are increasing or decreasing. Hello there, thanks so much for your review. We wanted to let you know that you are able set up alerts that will notify you when a customer is dropping off in sales value and % using the Campaign Manager section in sales-i. Give us a shout at support@sales-i.com if you would like any help with setting up a campaign that will do what you need or visit our support site for more guidance. "Lots to learn, but helpful and valuable"
It has functions that our older IBM program doesn’t have. Nothing wrong with the Salesi, I grew up learning the basics of printing and script, so it’s still new to me. “Harder” for me to pick up or follow along during instruction. Fast snapshots of my dealer’s budiness with us. Better picture of Swiff-Train/Dealer business. "I was part of the group to select Sales-i for the company"
"Been using Sales-I for a couple years now"
Sales-I has been a great tool and very easy to learn. Nothing about Sales-I is really a dislike for me. Customer sales, product sales, etc are much easier to run reports for. "I am reviewing a software called 'Sales-I'." What I like best about 'Sales-I' is that if I ever need to get in contact with someone, first of all I will need to have their details noted down, for example, their mobile phone number, if not, their email address as we can contact them via that option. I don't think there is anything to dislike about this software because it has everything that you'd need for a business. I would highly recommend this application / software to anyone running a business as I think it will be great in years to come. We have realised that we wouldn't have been able to get through everyday life without this software. I like how I can really dig deep in to the analytics of my sales team, their customers and the products they are selling. I don't dislike anything but there is a lot of time required to learn how to use it as there is so much you can do with it. Give it a try and I'm sure you will be amazed with what you can achieve. I have found it much easier to analyse product, customer and staff performance and have been able to identify ways to increase profitability. I like the fact we can add notes in regards to disussions or problems with customers that can be allocated and emailed to other people, for example the account representative. we can access our customer sales info which is always helpful. Theres nothing to dislike, i've never had a problem. We are managing to see where customer sales may be dipping so that we can work on this with them and see how we can help them sell more of a product they may havbe done well with previously. Extremely easy interface that makes it simple to generate sales reports, call lists, and information on all my accounts. Sometimes the interface is tweaked a bit without prior knowledge and the changes can be a bit surprising. not a huge deal as the changes are usually for the better. I've used Salesforce.com in the past and find that Sales-i is very easy to use in comparison, and doesn't require much set up. Being able to integrate items and email with Outlook and the Microsoft suite are helpful. "Sales use for tracking progress"
I dislike how when you go to a customer report card it opens in a different window within the browser. All of a sudden I have 10 different tabs open on the browser and I have to go through each one. The sales vs. gaps keep my on top of who is ordering vs. who is not. It is extremely beneficial when trying to keep track of where my customers are at. Also the drill down menu to get to the variety of products and categories makes it so there is more than one way to reach you rend result. I like the snapshot feature. I can get some vital information on my customers very quickly. It is a little cumbersome. They have great webinars that help you learn all of the "ins and outs". This is a very powerful tool for the sales profession! As with anything, you get out of it by what you put into it! The problem that I'm solving is that I can keep track of my customers with ease. This has helped me be better organized when I make calls. Excellent.. it will make your sales life simple. Sales, follow-up and sales tracking are the mayor problems it solves. The benefit is tremendous because it keeps up with sales numbers by proactively staying on the of the sales. The fact that I can go back and see my notes on what I spoke about the last time I saw my customer. I feel like I'm still learning about this program so there isn't really anything on here that I dislike. I can see if my customers have stopped ordering altogether or what items they've stopped using. By looking at what they buy from me, I can get them to buy ancillary items from me. * We monitor all sales-i reviews to prevent fraudulent reviews and keep review quality high. We do not post reviews by company employees or direct competitors. Validated reviews require the user to submit a screenshot of the product containing their user ID, in order to verify a user is an actual user of the product. Hi there! Are you looking to implement a solution like sales-i?